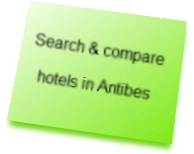 Our selected hotels in Antibes and Juan les Pins. The Hotel Petit Castel is located on the edge of the Cap d'Antibes, near the beaches at the tip of the beautiful pine-forested peninsula of Cap d'Antibes. 16 rooms with en-suite bathrooms. Located in the Garoupe, Cap d'Antibes,30 metres from the beaches (directly accessible by private road), the Miramar offers 14 comfortable air-conditioned rooms looking onto the sea, mountains or garden and equipped with bath or shower, private toilet, satellite TV and direct dial telephone. In a quiet area in the heart of the french riviera, our hotel welcome you 500 m from the beaches. Swimming pool, garden and rooms with terrace are at your disposal. In the heart of Juan les Pins and 200 metres from the fine sand beaches, the Ambassadeur Hotel is in idyllic surroundings of greenness, palm trees and azure blue. The Belles Rives Hotel is situated between Juan-les-Pins and the Cap d’Antibes. With direct access to a private beach, a pier for water sports and boat docking. All of the elegant rooms at the Belles Rives Hotel are well equipped with everything for a pleasant stay. The art deco style restaurant offers guests delicious Mediterranean cuisine, while the terrace restaurant serves sea food throughout the day. Copyright © 2008-2019 AntibesGuide.com : All rights reserved.